AZW3 is the fourth generation of Kindle file format which is a proprietary eBook file format created by Amazon.com. 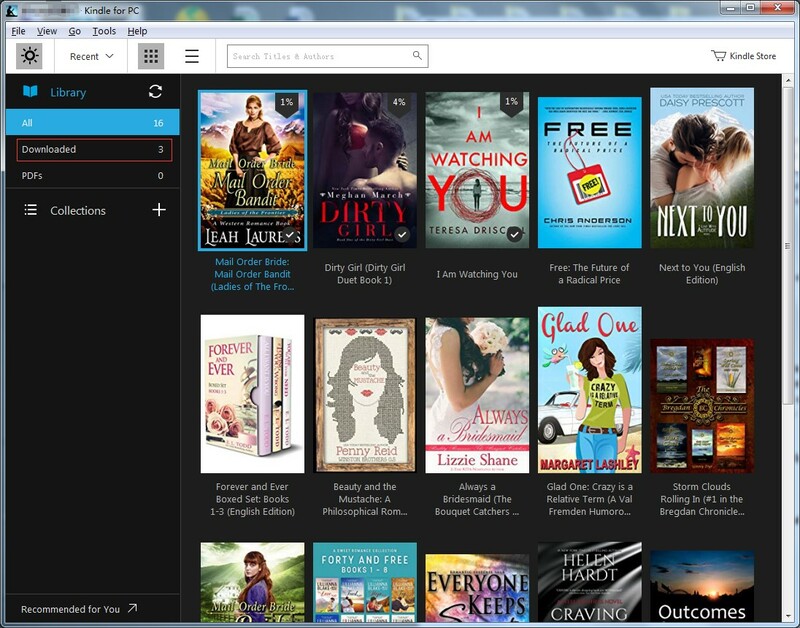 AZW is actually based on Mobipocket, which is used for Amazon eBook formats by Kindle devices and apps. You can also download AZW eBook files and read them on devices like smartphones, tablets, computers, or e-readers with Amazon’s Kindle app installed. If you have downloaded these files on your computers and you are longing for the solutions to how to upload AZW3 file to Kindle, useful tips would be offered here ready for you. If you have downloaded AZW3 eBook files on your computer, it is not difficult for you to make it when you have a micro-USB cable for Kindle. When you ask the question “how do I upload an AZW file to Kindle?”, the easiest solution that comes to our mind is to easily upload AZW3 file Kindle with USB. The simple steps here will give you more detailed guide on how to upload AZW3 file to Kindle. Step 1: Connect the Kindle to your computer using its USB cable. 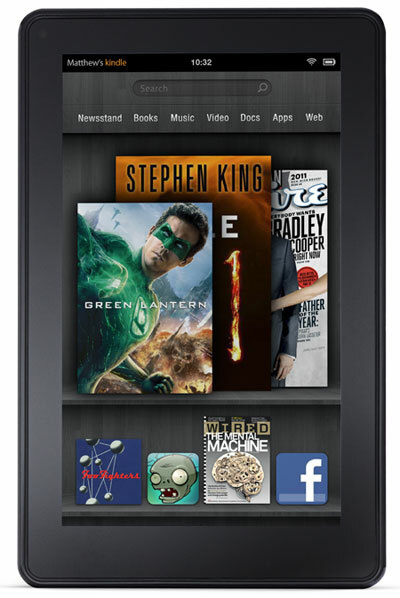 After connecting your Kindle to your PC, Kindle will be recognized as a mass storage device. Step 2: Open the Kindle folder，and you will see three folders in it called “music”, “audible” and “documents”. 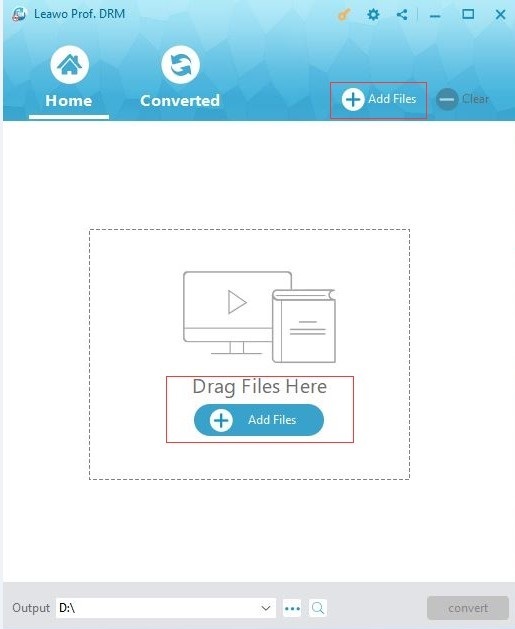 Step 3: Locate the downloaded file on your computer, and then drag and drop the compatible file you want to transfer into the applicable folder. When AZW files are completely displayed in the folder, disconnect your Kindle and the AWZ eBooks will be in the Kindle’s library right away. Notice that the solution also works for sending other eBooks in so many common document formats including MOBI, DOC, DOCX, HTML, PDF, TXT, RTF and common image formats. Except for uploading AZW files to Kindle via the USB cable, you can also send your AZW file to Kindle by email. Note that before you send the AZW files you should make sure that there is no DRM protection on the files. 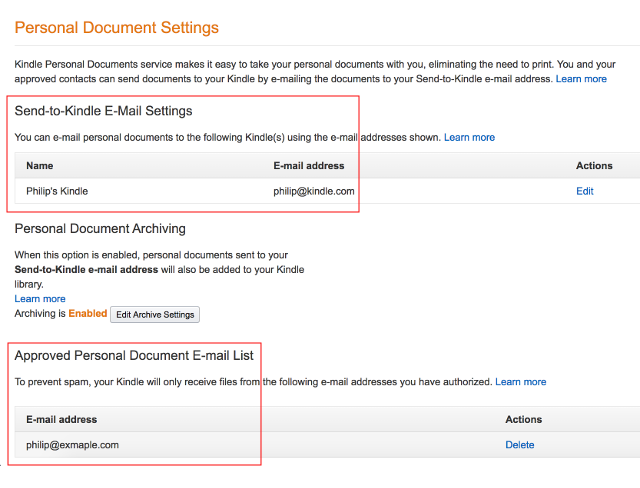 And then, as long as you know the email address of your Kindle, you can email your Kindle files as attachments. Here comes the way on how to upload AZW3 file to Kindle by email. First of all, you go to Amazon Account, and then tick “Digital Content” to choose “Manage Your Content and Devices” and go further to Personal Document Settings section to set up the email account and address and approved them as authorized email. To send an AZW file to your Kindle device, simply attach it to an email addressed to your Send-to-Kindle email. You don’t even have to include a subject in the email before sending it. 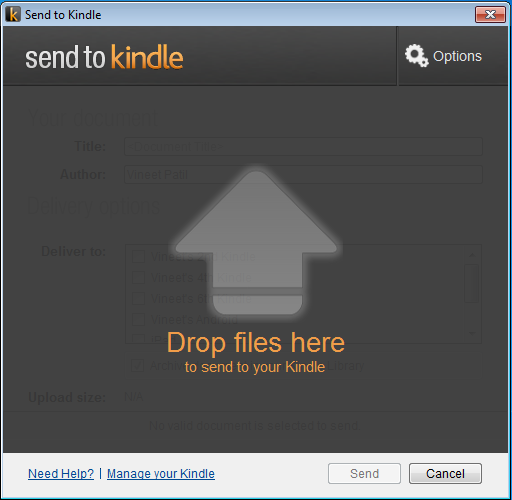 Aside of sending AZW3 files to Kindle with USB and email, you can also fortunately make it by using Send to Kindle app, which is developed by Amazon to make sharing documents to all of your Kindle devices with a drag and drop affair so that you can read your files on your Kindle devices as well as free reading apps on iPhone, iPad, iPod touch and Android phone and tablet. The way on how to upload AZW3 file to Kindle with the Send to Kindle app comes with the guide below when you are going to send AZW3 file from your PC to Kindle. 1. After downloading and installation, when you simply right click on a file in Windows Explorer, "Send to Kindle" will appear then. 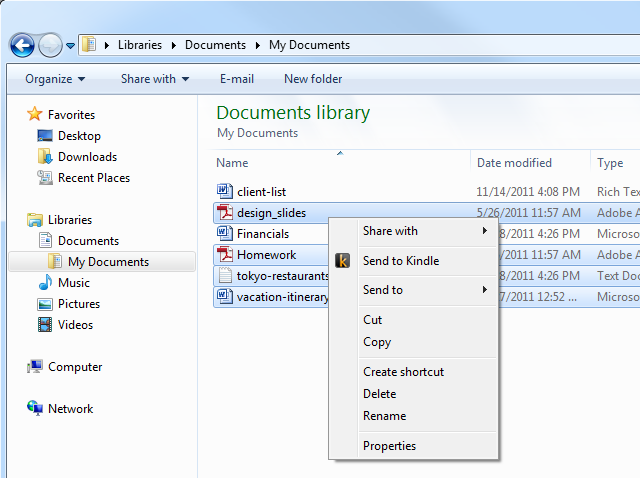 Thus, to send multiple documents to Kindle without opening them, you can simply select documents and choose "Send to Kindle" from the right-click menu in Windows Explorer. 2. 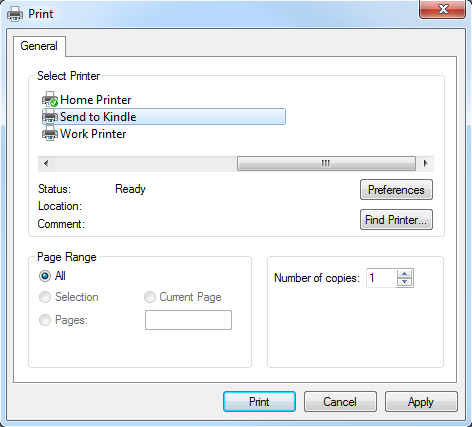 From any Windows application that can print, select Print and choose Send to Kindle. 3. 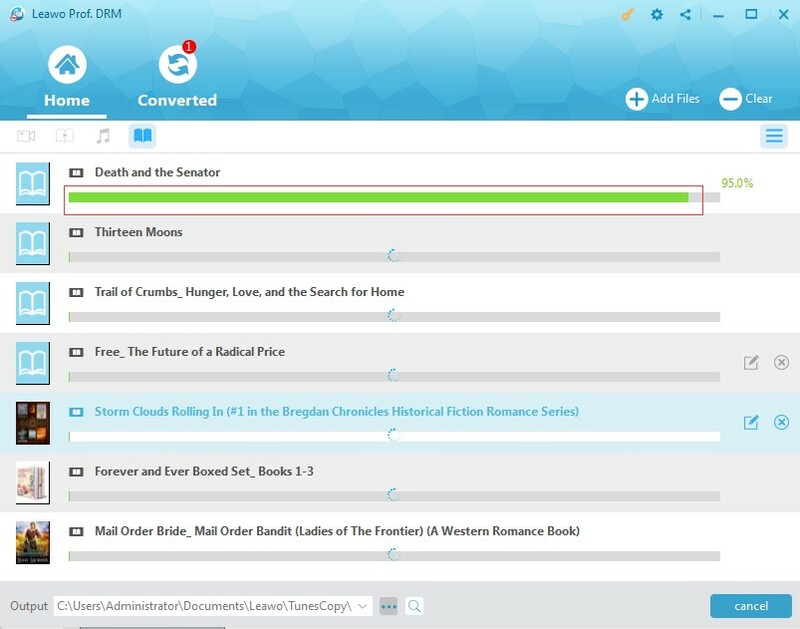 Drag and drop one or more documents onto the Send to Kindle application. 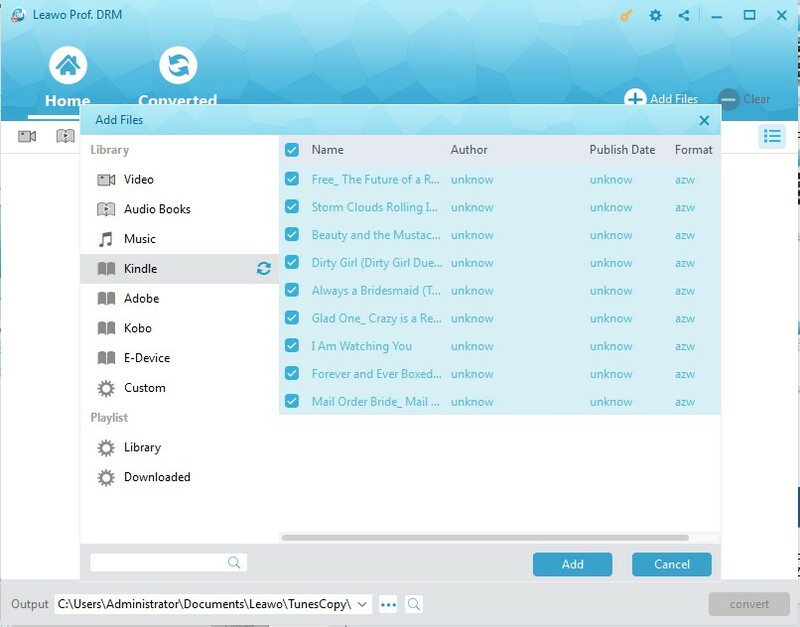 When you are AZW3 files are blocked by DRM which will prevent you from sharing your files, you have to remove DRM from AZW files at the first. And fortunately, there is professional software created to deal with AZW DRM removal. And Leawo Prof. DRM would come into the top chart when you are confronting DRM block problem. 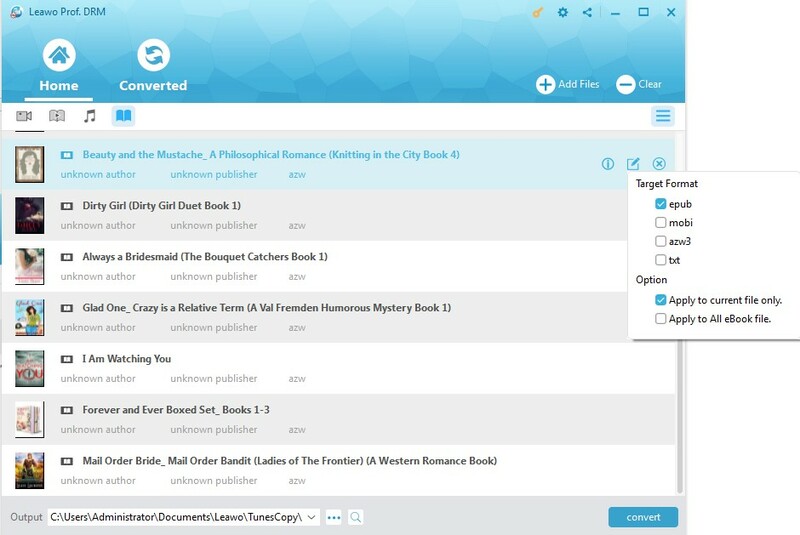 Act as eBook Converter, Leawo Prof. DRM has powerful ability of removing different types of DRM protection from eBook including Amazon Kindle, Kobo, Adobe. It supports so many eBook formats for input, such as epub, mobi, azw3, azw, kfx, prc, html, txt and converts eBooks to DRM-free format for output, including epub, mobi, azw3, txt. It works at 50X faster speed with lossless quality, which even makes the program applicable and popular for all users. Moreover, with Leawo Prof. DRM installed, you can even convert epub file to Kindle or convert DRM-free eBook to epub, mobi, azw3, txt, etc. to share the non-DRM eBooks to any devices with your friends freely. You know that AZW3 files you downloaded from Kindle or Amazon are often protected by DRM that restricts you from sending to other devices or eReaders. To remove AZW DRM effectively and upload AZW3 file to other Kindle or other devices freely, you should download and install Prof. DRM on your personal computer and then follow the steps here. Note: You can remove AZW DRM in simple steps when you have already installed a Kindle Desk App. 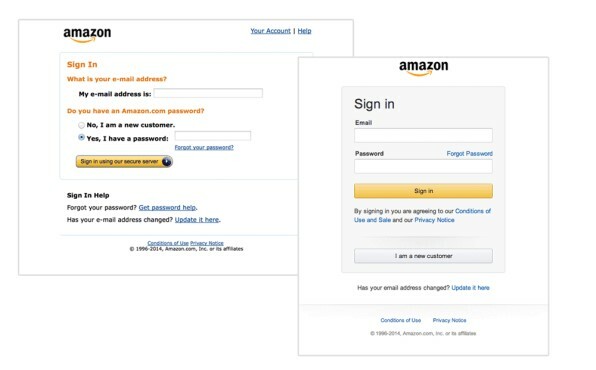 After launching your Kindle App, you should enter your Amazon account to login at first. You are able to enter your Kindle library to check the downloaded and protected AZW3 files on the “Downloaded Items”. Tips: You are also allowed to locate the eBooks you want to remove DRM accurately by clicking “Tools>Options>Content”. Launch Leawo Prof. DRM to enter the main interface, click the “Add Files” button on the sub-menu bar or in the middle of program interface to enter the add file panel for importing the AZW file. Or you can drag and drop the target AZW file straightforwardly to the program. On the left side bar of the Add Files panel, choose “Kindle” and click the refresh icon to scan all the downloaded eBooks on your Kindle library. And then select the wanted eBook files and click “Add” to import them into the program. After all the needed files imported, you can choose an eBook file from the list and click the “edit” button to freely choose AZW3 as output format. And then, check the option of “Apply to all eBook file” to apply the selected output format for all imported files. Click the blue “Convert” button at the bottom to start removing DRM from eBook in Kindle. And then convert to AZW3. And you will get the DRM-free AZW 3 files when the removal process is completed after a while. Now you can use any solution mentioned in this post to freely upload AZW3 file to Kindle. Anyway, all the solutions recommended here have been identified as effective ones that would be guide you on how to upload AZW3 file to Kindle: when your AZW files are DRM free, you can directly send them to Kindle with USB/by email/Send-Kindle app. Once you have DRM blocked AZW3 files, you could send AZW file to Kindle after you remove DRM from Kindle bookswith Prof. DRM in simple steps. Well, “how do I upload an AZW file to Kindle?” you must have got the answer now.